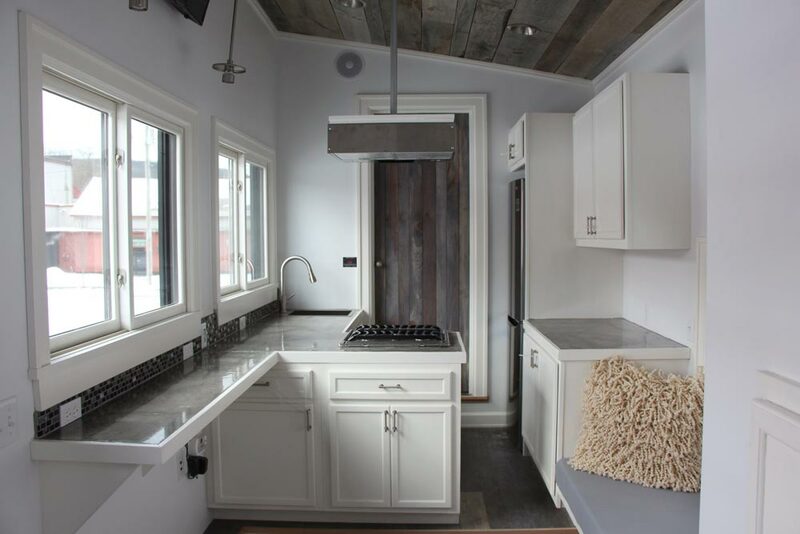 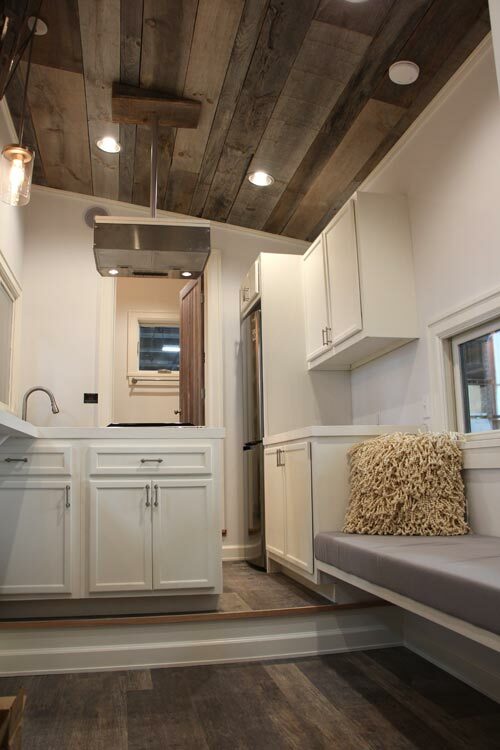 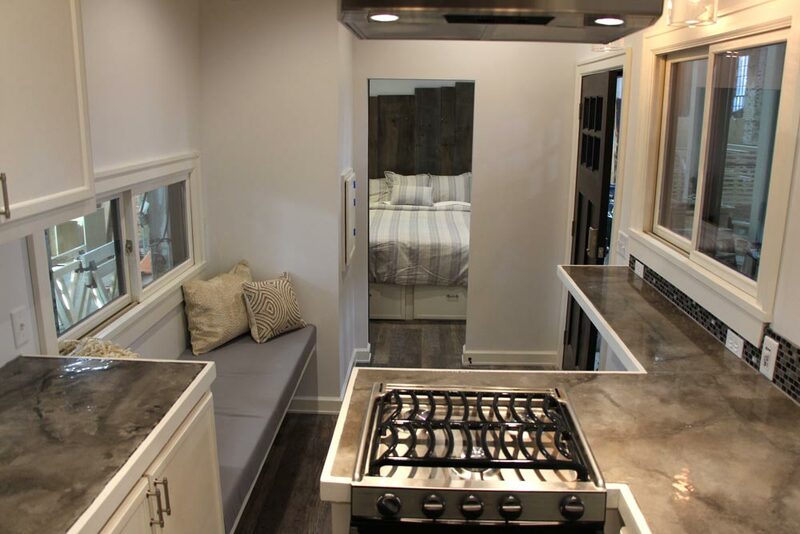 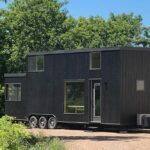 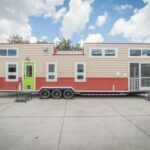 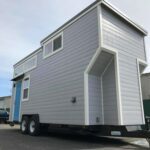 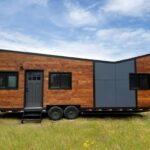 The Stony Ledge is a 30-foot tiny home on wheels built by B&B Micro Manufacturing. 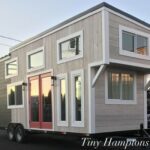 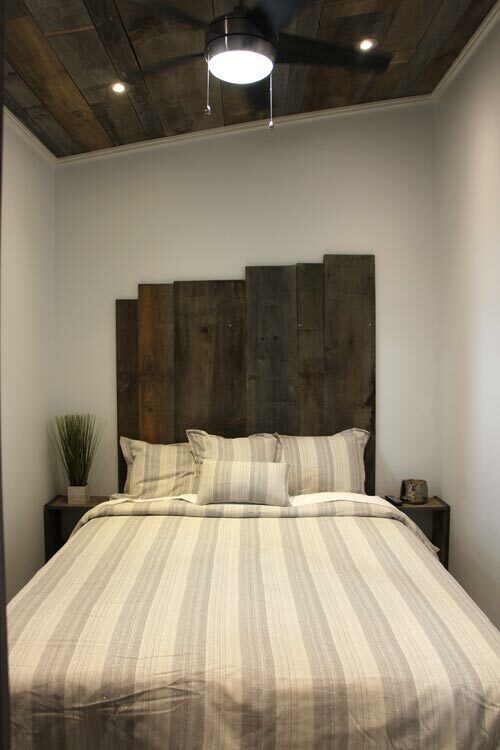 The 300-square-foot home has a main floor queen size bedroom with built-in nightstands and a full-length closet. 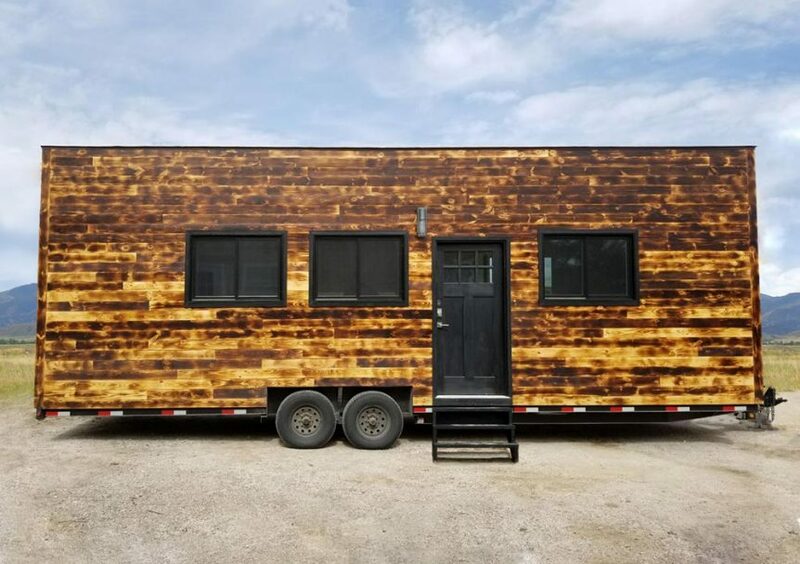 The exterior of the Stony Ledge is Shou Sugi Ban pine with dark window frames and front door. 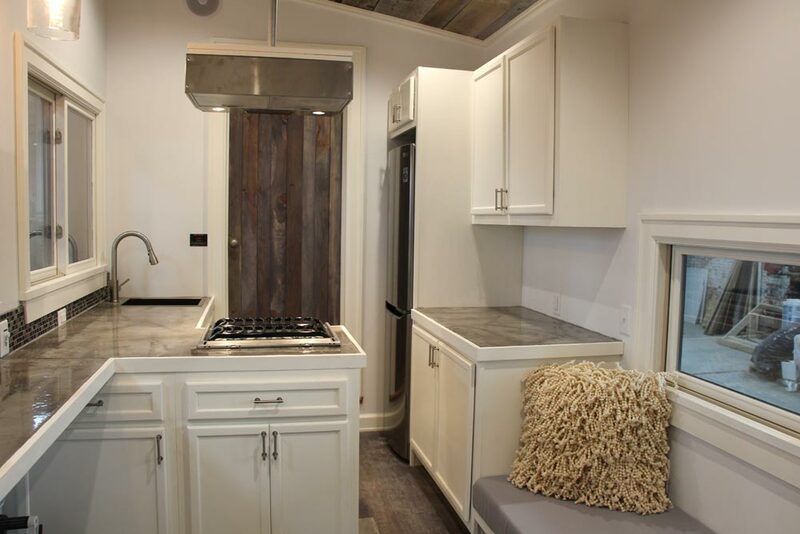 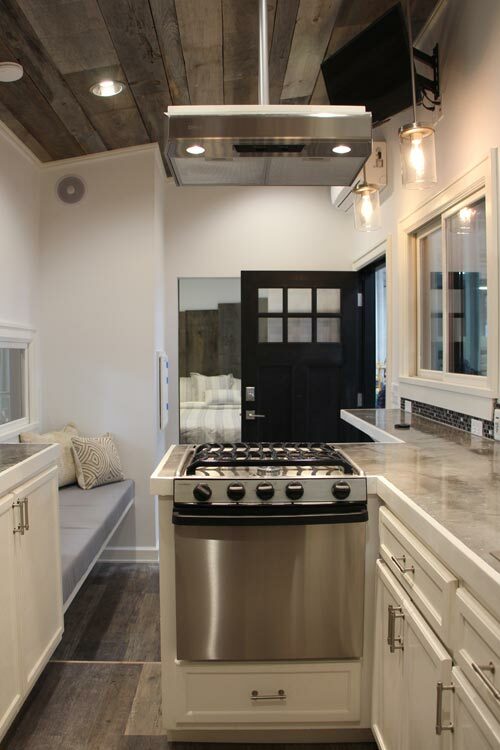 The L-shaped kitchen features upper and lower cabinets, a full size refrigerator with bottom freezer, and a propane oven with a three-burner stove. 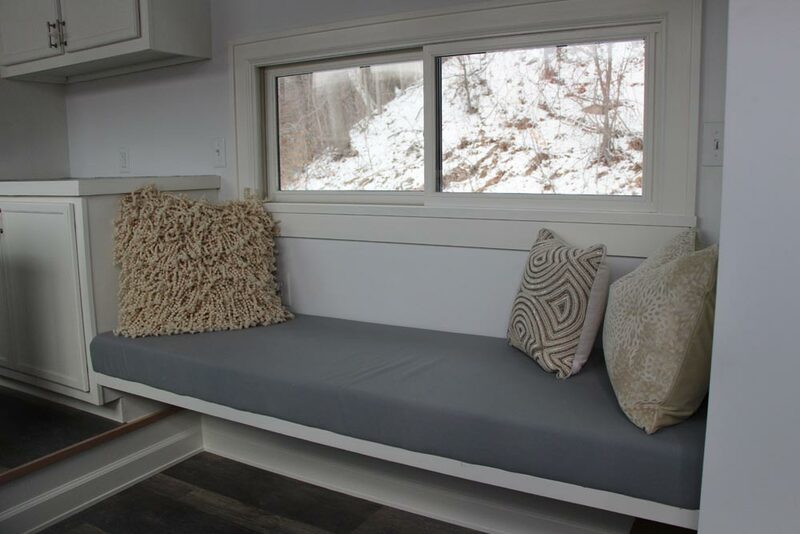 A breakfast nook seats two and there is built-in bench seating in the living room. 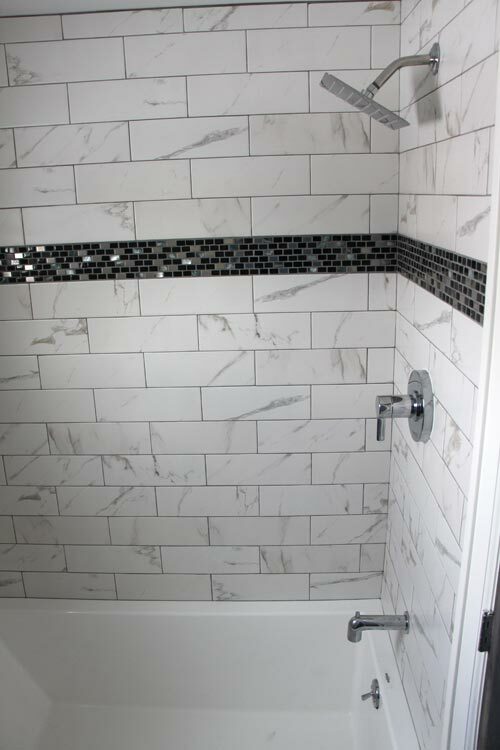 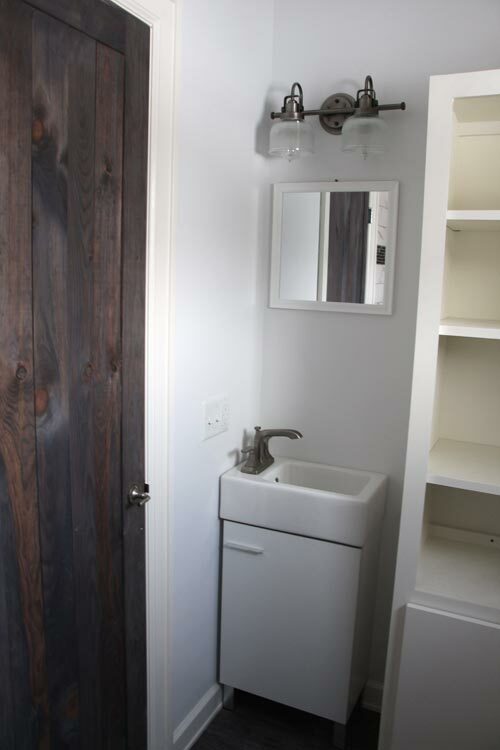 The bathroom includes a full-size tiled shower/tub, sink with cabinet storage, linen shelves, and a macerating toilet. 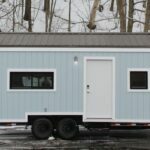 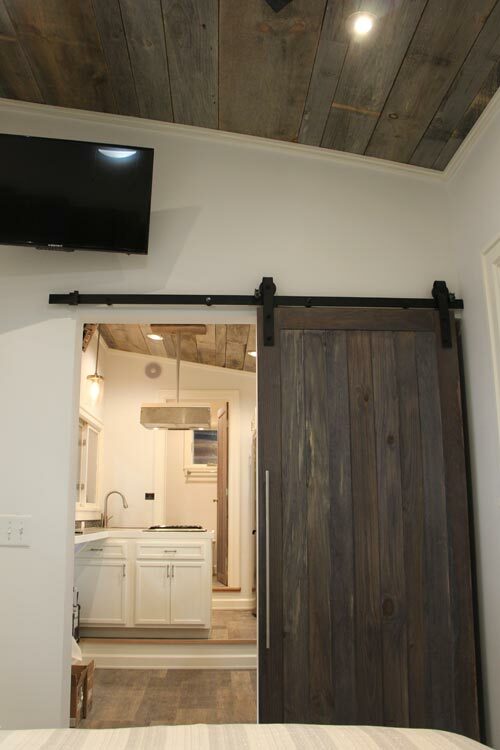 B&B Micro Manufacturing is an RVIA certified builder in North Adams, Massachusetts. 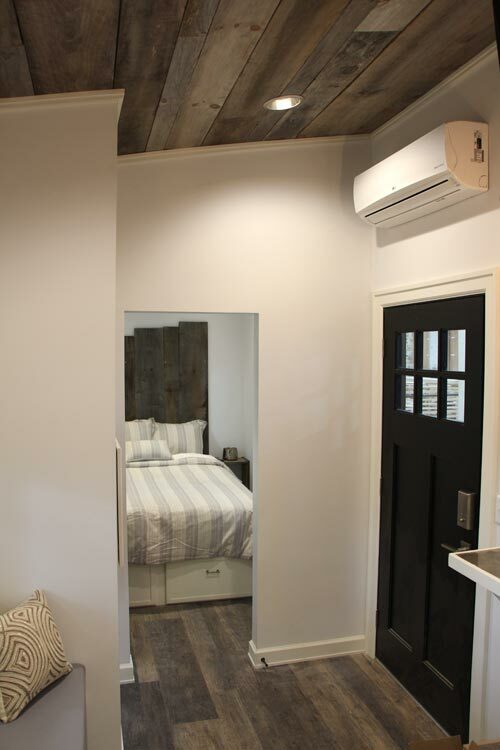 For more information about the Stony Ledge, you can contact B&B through their website. 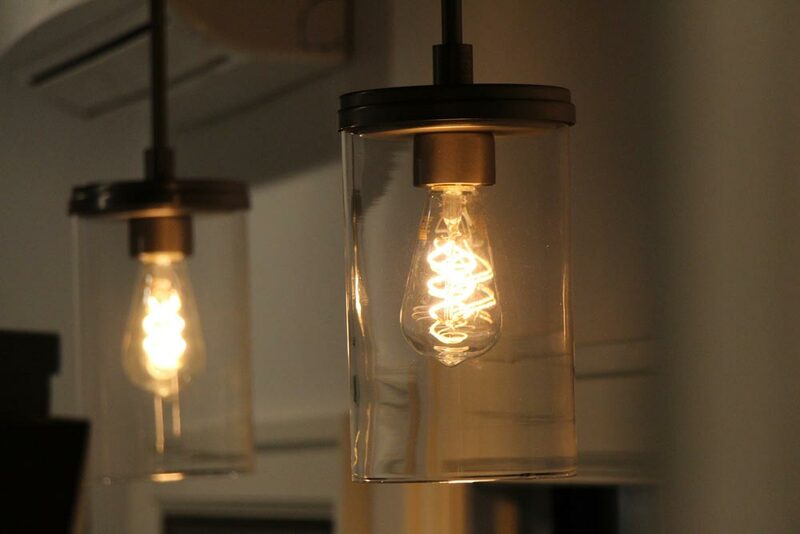 Also available from B&B Micro Manufacturing: Arcadia, Hudson, Silver Lake, Brodie.